Attention Kroger shoppers! 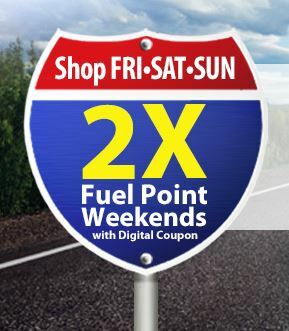 The 2X Fuel Points Weekend are back. This will help you save even more at the pump which is perfect if you are planning an upcoming road trip. Earn double Kroger Fuel Points when you shop on Friday, Saturday, and Sunday through 7/27. This offer is valid on qualifying grocery purchases but excludes pharmacy and gift card purchases. Apply the 2X Fuel Points coupon & save automatically through July! Deal Idea: Buy gas gift cards and use the bonus fuel rewards as you pay to save even more! Some restrictions apply. Valid for unlimited use through 7/27.